Strut with confidence in these see-through beauties! 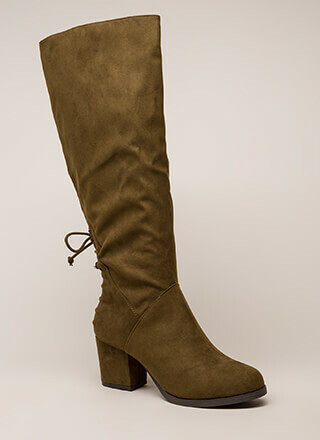 Over-the-knee, peep-toe boots feature a see-through profile constructed from non-stretchy sheer mesh with vegan suede trim. Partial side zip closure leads to a cut-out back and a chunky, cylindrical, clear Lucite heel. Finished with a ridged sole.